The only problem with this is 5 year old chickens aren't really fit for roasting so they were boiled instead. Chicken soup then wasn't what we think of today with shredded chicken in the soup and noodles, etc. It was more of a 1 pot meal. The chicken was simmered and served on the side with the soup and some dumplings or egg noodles. Now in this case I decided to borrow from family history to come up with a recipe for our times. When my dad was growing up, he told me, his parents would visit a farm every Sunday and buy a chicken, eggs and milk then they would make this soup and serve it as above. At first glance the recipe seems complicated but really isn't, you just need some time and good ingredients. Traditionally it's served with liver dumplings, but I prefer matzo balls as they're easy to make, or you can also add egg noodles to the broth. In a large pot add 3T fat, what you use is up to you, but it's traditional to use bacon grease here. Heat fat and add onions, don't stir and let the onions get well browned. Add the rest of the vegetables, except parsley, and the spices and stir. Let cook for 5 mins stirring occasionally. Wash your chicken and rub it well with salt, massaging inside and out then rinse well. Place parsley on top of vegetables in pot and place chicken on top. 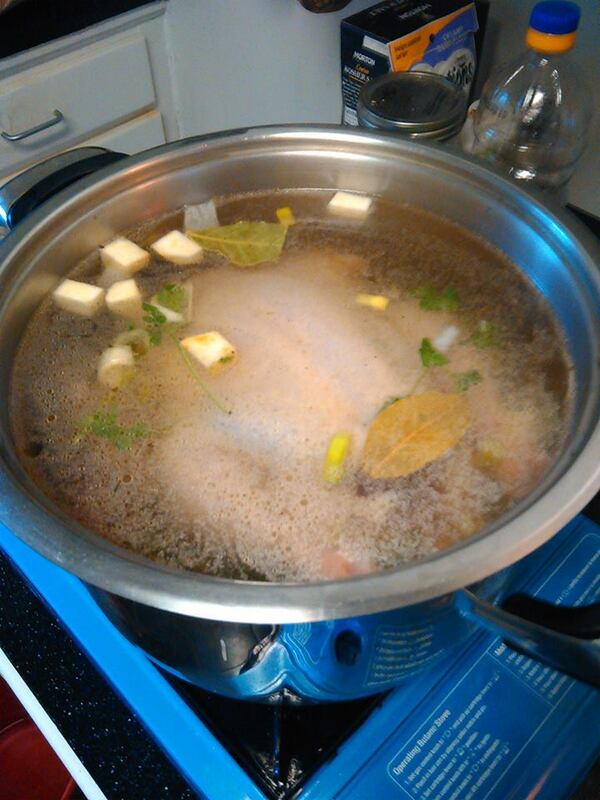 Add water to cover the chicken and loosely cover the pot. Bring the soup to boiling then reduce heat to simmer and allow to simmer 1 to 1 1/2 hours until chicken is fork tender. If you're cooking matzo balls, remove chicken from pot, cover and set aside. Drop matzo balls into broth and cook according to recipe. 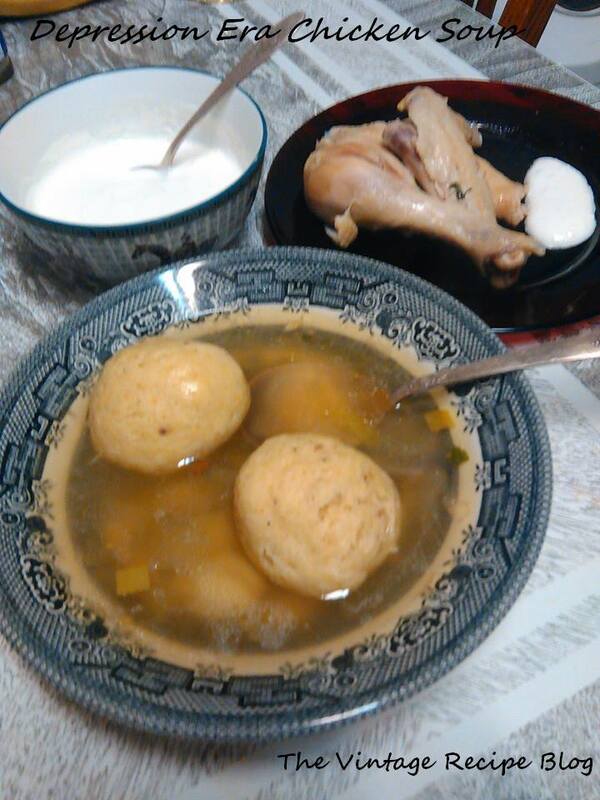 Serve chicken with Horseradish Sour Cream and soup with matzo balls. Mix together and let rest covered in the fridge for 1 hour before using. Herbert Hoover promised a chicken in every pot during the presidential campaign of 1928. Now don't I feel like a fool for not looking that up before writing about it. Thanks,I'll get that fixed.